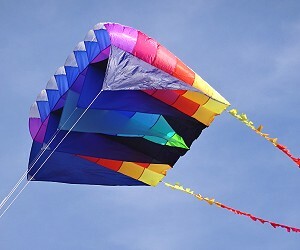 Parafoils and Sleds are also called "soft" kites. 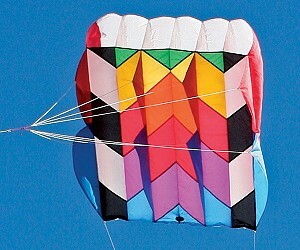 They have no rigid spars and maintain their shape in flight by the wind filling aerofoil chambers. 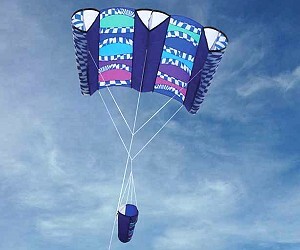 Ideal for travelling, these kites produce a good amount of lift and larger sizes are great for lofting "line laundry". Add items to your shopping cart from this page. 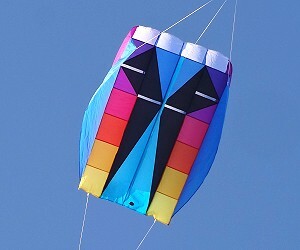 69" wingspan x 58" Rip-Stop Nylon. Includes matching Fringe Tail. Flying Line not included. 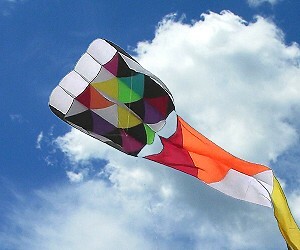 41" wingspan x 33" Rip-Stop Nylon. 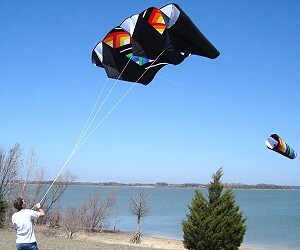 Includes 300ft x 80lbs Flying Line & Drogue Stabilizer. 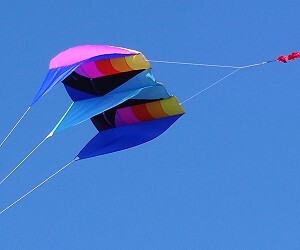 150lbs suggested for winds over 15 mph. 94" x 45". Rip-Stop Nylon. Flying Line not included. Drogue Chute doubles as Carry-bag. 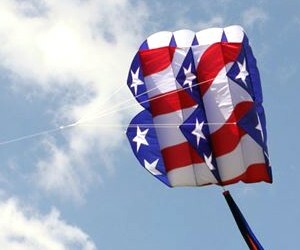 Good in strong wind with 75ft Banner Tail. 36" wide x 56". Rip-Stop Nylon. Flying Line not included. Includes matching Fringe Tail. 150lbs Flying line suggested. 28" wide x 45". Rip-Stop Nylon. 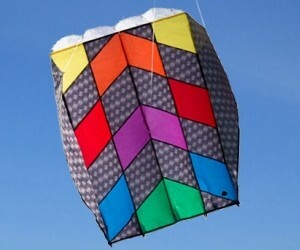 Includes matching Fringe Tail and 300ft x 80lbs Flying Line. 127" x 59" Rip-Stop Nylon. Flying Line not included. Drogue Chute doubles as Carry-bag. 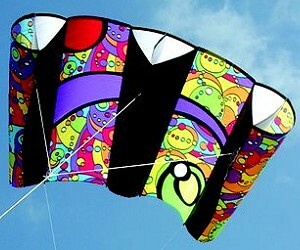 Good in strong wind with 75ft Banner Tail. 178" wide x 83" Rip-Stop Nylon. Flying Line not included. Drogue Chute doubles as Carry-bag. 28" x 38". Rip-Stop Nylon. Flying Line included. Great for boaters and hikers. 22" x 32". Rip-Stop Nylon. Flying Line included. Great for boaters and hikers. 90 sq. 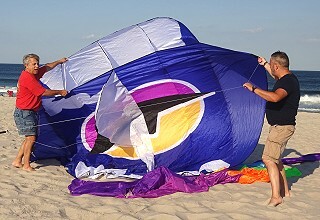 ft. Rip-Stop Nylon, with 82ft Banner Tail. Flying Line not included.